Building multilingual websites for your business, or your client’s, is not difficult if you put in place a few simple steps. In this post I’m going to look at how to develop a strategy for your website translation. Now ready to get started? Just to confuse issues I’m not just talking about website translation but also website localisation! What’s the difference? Put simply translation is about replacing words in your source language with words in your target language, such as ‘welcome’ with ‘bienvenue’ in French, and ensuring the content means the same thing. Localisation on the other hand looks at the whole of your website to make sure that it really works effectively in your new target market. It takes into account cultural preferences such as style and tone, imagery, graphics and colour. It also looks at what information is included and prioritised, tailoring the content for the target market. The main objective of a website localisation project is to ensure your website works just as effectively in that new market as it currently does here in the UK – or maybe even better! Localisation is not the same as ‘standardisation’. Some companies opt for a more standardised approach to website translation, creating one website that is duplicated across all markets with the only difference being the language it is in. In my opinion this approach generally results in a website that struggles to convert customers, as it isn’t targeted at their needs and desires. Website localisation creates a website that demonstrates your business’ commitment to your international customers, and builds trust and customer relationships. Before you start preparing content for translation it pays to plan ahead, well ahead. Think about how you will manage the localisation project, now and in the future. You may only be planning to launch in one new market, but in time you may decide to expand further and go through the same exercise again with a new target language and market. Therefore it’s a good idea to put processes in place now that will help streamline any future projects and, most importantly, the process of updating or adding new content to your local websites. What are your global business objectives? Do you have target markets in your business plan; are they similar or very diverse? It’s important to understand how local websites will vary, such as those handling languages using characters rather than the Latin alphabet, or right-to-left text. Does your content management system (CMS) support multilingual websites? Some don’t and therefore you will need to consider how translated content will be handled and where it will stored. For more on website translation and CMS integration click here. Have you identified a team to work on the website localisation project? Think about the roles that are required, and the time involved. You will need project managers, web designers / developers, in market reviewers (to review content and feedback cultural requirements), translators and proofreaders, artworkers etc. Have you got these people in place, and do they have the time to devote to the project? Do you have a multilingual SEO plan? You will want your local websites to rank highly on search engines and so will need to know what local keywords to target and optimise the website for. 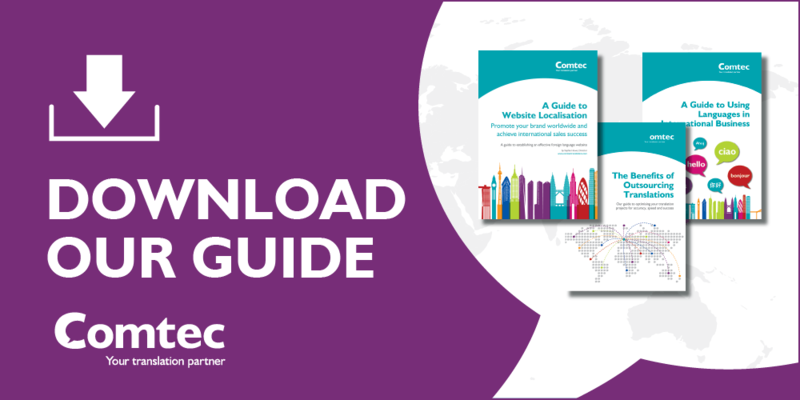 Have you got a language style guide and glossary for each market? Effective localisation involves knowing the best way to communicate with your target customers, and the best words to use. A language style guide will reflect cultural preferences and trends in your target markets, whereas a glossary will collate all the approved industry specific and culturally relevant terminology for each market. Are you ready to handle prospects and customers that visit the site? You’ll need to consider what happens when someone visits the website and contacts your company. Who will handle enquiries? Do you have local phone numbers and email addresses? Will you need translation or interpreting services to communicate with customers? Are you ready to process sales if you have an ecommerce website? How will you manage workflows of new content or updates to each website? Ensuring that websites are up-to-date and contain fresh content is very important. Will updates and new content be handled by local teams, or centralised? By answering the questions above you will get an idea of the scope of the localisation project and be able to develop a robust website localisation strategy. It’s a good idea to keep revisiting this throughout a translation project to refine it further, so that future projects are even more streamlined. Look out for our next blog post in this series on website translations, which will explore choosing the best CMS for multilingual websites.